It all started with having some extra heavy whipping cream left over from all the Christmas cooking; it ended with a heavenly Cherry Almond Amaretto No-Churn Ice Cream. The family voted and it was unanimous. 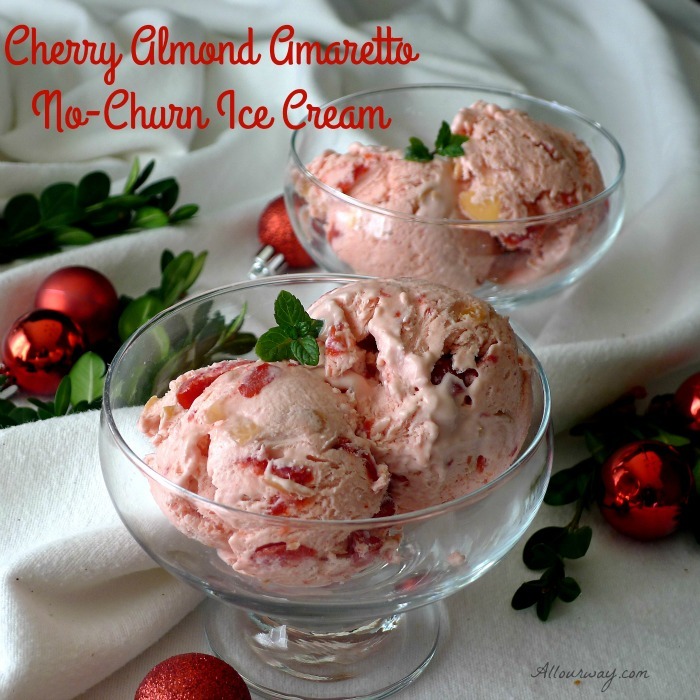 Cherry Almond Amaretto No-Churn Ice Cream was their favorite! You can’t make it any simpler. You take a can of cherry pie filling, add some almonds along with the amaretto liqueur in some heavy whipping cream and you have a dessert your family and friends will applaud. You don’t need any special equipment! A mixer and a freezer is all that’s required to have an outstanding frozen dessert. This recipe has been updated from the original December 2015 in order to provide a better experience for our readers. Last update December 2018. Cherry Almond Amaretto No-Churn Ice Cream is a celebration in a dish. I’m almost embarrassed to admit how very easy this is to put together. How can I keep this very delicious ice cream to myself? And really, who has to know how very easy a dessert this is? After all, it’s just between friends, right?? 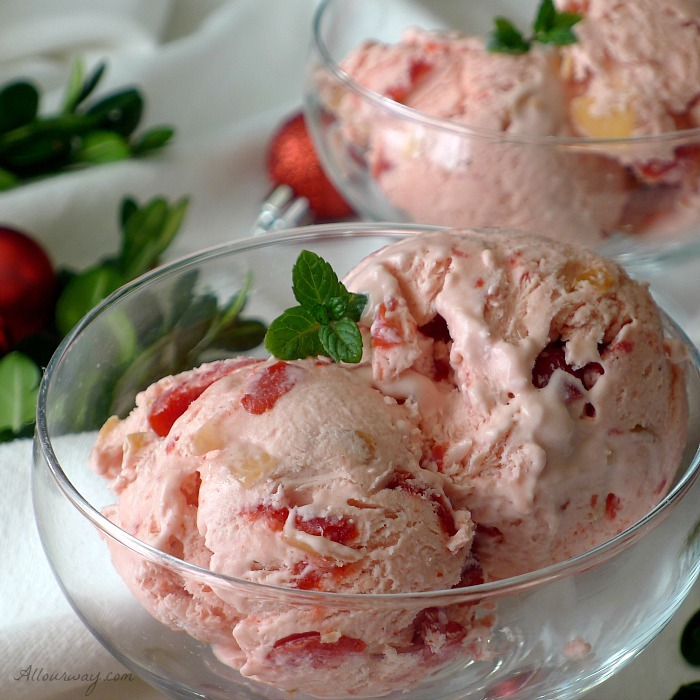 Cherry Almond Amaretto is an ideal frozen dessert to serve at Christmas or Valentines Day. I had another no-churn ice cream I’d made around Thanksgiving that I’d planned to post. But after tasting this rich, creamy dessert, I knew that I had to hurry and share this recipe. This dessert is a delightful addition during the Christmas season. In fact, I think Cherry Almond Amaretto No-Churn Ice Cream would even make an elegant Valentine’s Day dessert — just drizzle a little chocolate on top if you want to make it even more special. Yum! and a splash of amaretto liqueur. I will write out the directions, but heavens, it’s so easy. 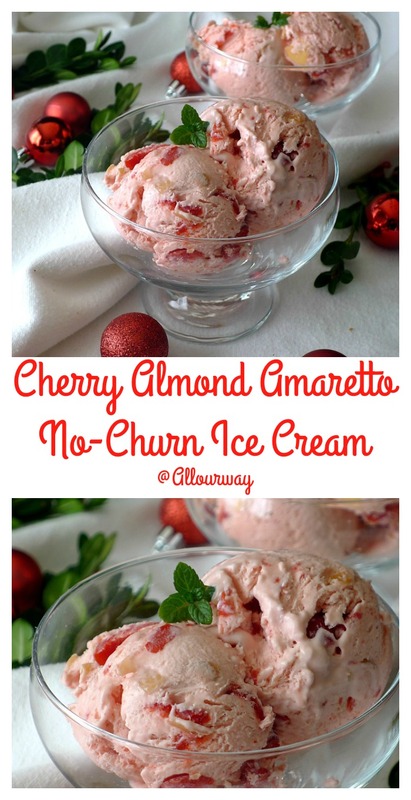 I thought the beautiful Cherry Almond Amaretto No-Churn Ice Cream is perfect for this Holiday Season or how about Valentine’s Day. If you are feeling adventurous more no-churn ice cream recipes. There are so many delicious varieties. We hope you’ll try some more of these flavors. Un caro saluto e alla prossima . . . Buon Natale e Felice Anno Nuovo! A delicious no-churn ice cream that is easy to make with cherry pie filling. It is rich and very elegant, perfect for beautiful ending to a holiday meal. Mix the cherry pie filling, the sweetened condensed milk, almond extract and liqueur in a bowl and chill. Whip the cream in the chilled bowl with the chilled beaters until you get stiff peaks. Using the same beaters slightly whip the chilled cherry ingredients. You don't want to break up all of the cherries. Fold the cherry ingredients into the whipped cream until blended. Don't mix! Fold! Once it is mixed through add the cooled toasted almonds. Put in containers and freeze. Makes about 2 quarts ice cream. Note: Recipes and content from © 2014-2018 All Our Way are copyright protected. Please do not use content or recipe without prior written permission. If you want to share the information, please link to this post. Grazie. No ice cream maker so I’m thrilled with your no churn recipe. As you said, it would be perfect for Valentines Day. Happy New Year. This looks so easy to put together and I bet the splash of amaretto liquor just elevates the whole dessert! Love recipes that are simple and delicious! Anything with cherries is a win win for our house. Have a beautiful and joyful Christmas with the family 😊. What a beautiful and festive dessert for the holidays. And easy to make too. I’m sold! Imagine just using a can of pie filling! So easy! I’ve been experimenting with no-churn ice cream lately, and I have to try it this way! What a beautiful holiday dessert! It looks so beautifully festive! And maybe add a drizzle of chocolate…….yum! YES! I can’t wait to make this for Valentine’s Day! Cherries and Amaretto is a flavor combination I can’t resist! Love ice cream and love cherries! Win-win! I’ll have to give this recipe a try. …mmmm a chocolate drizzle would taste so good on this ice cream! Love that it is so easy to make!! YUM! I’m such a fan of no-churn ice cream recipes. I don’t own an ice cream maker, and honestly don’t want to own one. I love the simplicity of your ingredients and recipe. Thank you so much for sharing! Lovely combination of ingredients. This is so creative and my family loves no churn ice cream. I will soon give this recipe a try. Yummmy! Amaretto is one of my favorite flavors but I had never thought to put it in ice cream… yum! I love that this uses cherry pie filling – so you can make it year round! You’re right it’s great for the holidays and it would be good for Valentine’s day or even a summer holiday! No Churn is one of the best inventions. I love how simple and easy they are to make too. This cherry and amaretto sounds heavenly. Can’t wait to try. Ahh the perfect dessert. The tanginess of amaretto, sweet cherries, and creamy ice cream Perfect! Thanks for sharing. 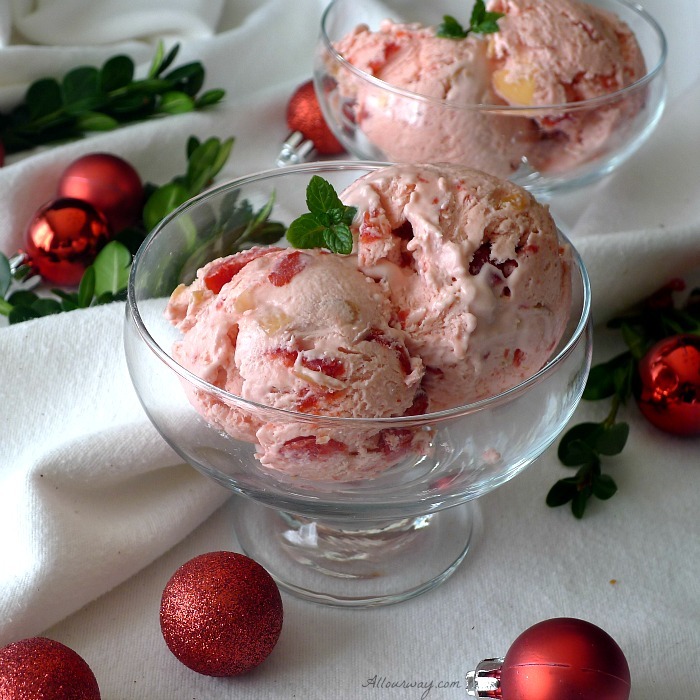 This ice cream is perfect for the holidays! Who says ice cream is only good during the summer? No churn ice creams are my favorite and that color of the ice cream is just so beautiful and captivating. So simple to make and absolutely no compromise on the flavors. This is my kind a treat. I love cherry amaretto combo. To bad it’s so cold now but I will pin this recipe to give it a try when weather get warmer. OMG! You just combined my two favorite ingredients cherry and Amaretto. This ice cream looks and sounds divine! A must try recipe! I have almost all of these ingredients. I love no churn ice creams, so I would be all over this! No churn is the best! These flavors were perfect together. My daughter asked me to make it again! Now this, this is the real deal. I love the idea of combining amaretto with cherries! Divine! Cherry ice cream has got to be one of my favorite ice creams. Love that you added amaretto. And love that this is a no-churn. These no-churn ice-creams sure are the best invention ever. I love no churn ice creams! 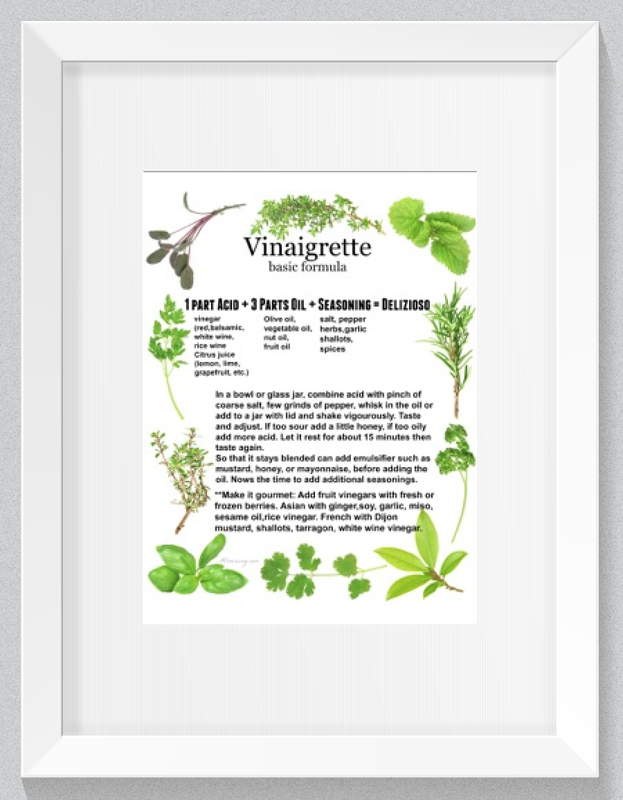 I keep adding varieties to my recipe box, because I can’t get enough! This is so seasonal, perfect for the holidays! I love cherries and this looks great! I love the suggestion of a little chocolate drizzle on top….don’t mind if I do…. yum! Haha, I would vote for it, too! It looks DELICIOUS! And it is amazing to read that it all began from Christmas leftovers! 🙂 Definitely something I want to try! All kinds of my favorite ingredients in one recipe! This looks so delicious, and I love that it’s no-churn. Love how we can use this during the holidays. There is always someone that would love some ice cream. If you leave out the alcohol, this is great for kids too. Always a great option for a quick dessert with some Christmas cookies. ENJOY!! The simplicity of this gorgeous pink ice cream is mind boggling — and that can of cherry pie filling (my personal favorite) is calling my name. I’ve made cherry amaretto ice cream before –making a custard, chilling it, pulling out the ice cream maker and churning. It’s not a quick process, so I really appreciate this oh-so-much-easier method. I’m always on the lookout for no churn ice cream recipes. This one of perfect for the holidays! Hi, Kirsten! This one is definitely a keeper!